Guilloché patterns are spirograph-like curves that frame a curve within an inner and outer envelope curve. 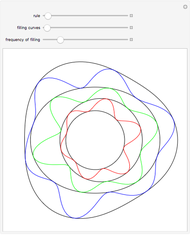 Curves are drawn within three deformed rings determined by four boundaries. Each boundary is defined by the frequency of a wave that adds and subtracts from the radius of a circle. 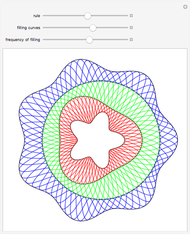 Change the wave frequency of a boundary by changing the relevant digit of the rule. 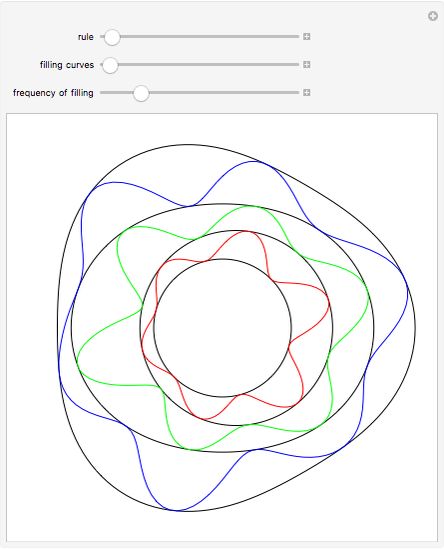 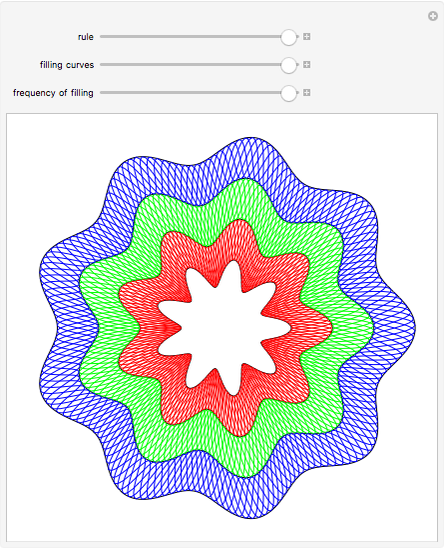 You can use the sliders to modify the number of filling curves per area and the frequency of the individual curves filling the three areas.